****THREE BEDROOMS**** TWO RECEPTION ROOMS****FIRST FLOOR BATHROOM***Osborne Estates agents are pleased to offer for sale this three bedroom family home Situated in the village of Gilfach Goch offering rural countryside views and excellent commuter links via A4119 access road to junction 34 of the M4 corridor This accommodation comes offering a lounge, sitting room, kitchen. To the first floor there are three bedrooms and the family bathroom. The front of the property offers countryside views. This property is located in Gilfach Goch. and is ideally located for commuters needing good access to Cardiff and The M4 and is within easy access of Bridgend and Llantrisant. There are a range of amenities near the property including: Shops, Schools, Medical Centre and Leisure Facilities. The property has Double Glazing throughout, Gas central heating, modern Kitchen & Bathroom, utility room, downstairs W.C. so this is a great Investment property, first time buyer. **NEW FOR SALE**NO ONWARD CHAIN** Osborne Estates are pleased to offer for sale this very well presented and recently fully renovated property, situated in Treherbert. Fully re-plastered and re-rendered walls, Newly fitted boiler & system,(July 2016) Newly fitted kitchen (July 2016) with guarantee's, utility and ground floor bathroom, front door in layered solid wood , Newly fitted windows also with guarantees, newly fitted flooring throughout property. The property offers two bedrooms, which potentially could be converted into 3. A lounge, sitting room. Attic is fully insulated. Flat garden and garage to rear for off road parking. Osborne Estates bring to the market an opportunity to purchase this three bedroom terraced property with first floor Wc situated in Penygraig Tonypandy, . The property benefits from access to local shops and amenities. There are excellent transport links to include train links as well as easy access to the A4119 with access to junction 34 of the M4 corroder. Situated in a convenient and pleasant sought after side street location of Tonypandy. Primrose Street is located offering immediate access to main services, facilities and with access to schools at all levels including the new super school at Tonypandy. It offers easy access to road links, A4119 link road to M4 corridor. Rail and bus connections are also in Tonypandy. Briefly comprising, Hallway, Lounge, Kitchen and Bathroom to the first floor. Landing leading to three Bedrooms. Osborne Estates are pleased to present this three bedroom property located near to Tonypandy town, rail and bus links. The accommodation briefly comprises: Entrance hall, lounge, kitchen. To the first floor there are three bedrooms and family bathroom. To the rear of the property there is fully enclosed garden. The property further benefits from PVCU double glazing and gas central heating. Osborne Estates is pleased to offer for sale this attractively priced three bedroom terraced house in Penrhiwfer Tonypandy. This property is situated on residential location of Tonypandy with easy access to local amenities and transport links to include the A4119 link road to Talbot Green retail park and junction 34 M4 an early viewing of this attractively priced property is highly recommended. This traditional end terrace property is located in the village of Tonypandy. Ideally placed to shops, schools and amenities and equally as convenient for those needing good access to the M4. * * * FREEHOLD * * * 2 BEDROOM *** Osborne Estates are pleased to present to the market this two bedroom property in Penygraig, close to local amenities to include shops and the A4119 link road. Accommodation briefly comprises of entrance hallway, lounge and kitchen to the ground floor. To the first floor there are two bedrooms and a bathroom. Osborne Estates bring to the market an opportunity to purchase this three bedroom terraced property situated in Penygraig Tonypandy, . The property benefits from access to local shops and amenities and soon to be super school. 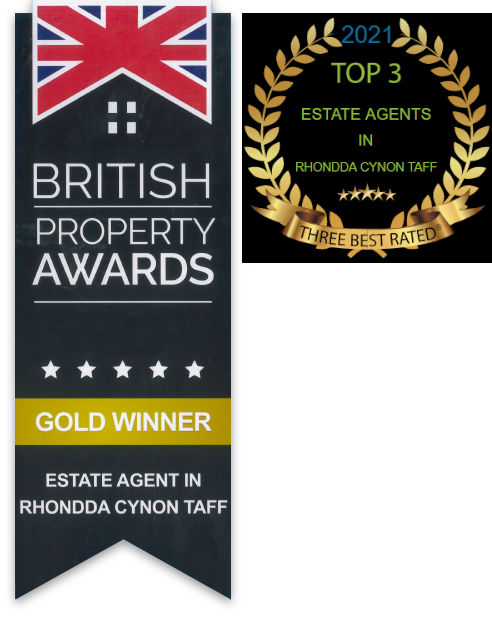 There are excellent transport links from Tonypandy, Dinas (Rhondda) and Llwynypia Railway stations as well as easy access to the M4. Osborne Estate Agents are pleased to present to market this three bedroom mid terraced property located in Maerdy. The property comprises of entrance hallway, lounge, kitchen, bathroom, three bedrooms and a rear garden with rear access. To arrange a viewing, please contact Osborne Estate Agents on 01443 435599. An excellent opportunity for first time buyer to get on the property ladder then this must be for you. This is a three Bedroom mid-terraced property with rear lane access, benefits from full gas central heating. Conveniently located in an excellent position offering access to schools at all levels close by. It offers easy access to rail, road and bus connections for major towns and cities. The property briefly comprises entrance Porch, spacious Lounge, Kitchen, bathroom to ground floor, Landing, three Bedrooms, , gardens to rear with outer building. This traditional semi detached property is located in the village of Tonypandy. Ideally placed to shops, schools and amenities and equally as convenient for those needing good access to the M4. Ground Floor  3 Consultation Rooms  Operating theatres  Dispensary & Staff area  Additional waiting area  Freezer Store 3 Multi-purpose rooms  Kitchen/Tea prep area  2 Central stores (including lobby) Internal construction is largely of masonry walls with a combination of painted plastered finishes and various ceramic and polystyrene wall tiles. Skirting s and architrave's are of timber construction throughout with painted finishes. Ceilings are generally plaster/plasterboard lined with an emulsion finish. Floor coverings vary with a combination of slip resistant sheet vinyl, laminate and carpet flooring. Windows internally are a combination of metal casement and timber sash and case all with a paint finish. The building is supplied with a combination of gas, electricity and water. Similarly the building is afforded with an intruder alarm system however no fire alarm system was evident during our inspection. Lighting internally is a combination of surface mounted fluorescent fittings or pendant light fittings. Heating is provided within the building by a combination of wall mounted radiators fed via a gas fired boiler located to the first floor Staff/Kitchen area. Osborne Estates are pleased to present this two bedroom property located near to Porth. The accommodation briefly comprises: Entrance hall, lounge with a walk way into kitchen to the ground floor. To the first floor there are two bedrooms and a bathroom. The house has been extensively renovated. To the rear of the property there is garden with open views of surrounding countryside. The property further benefits from PVCU double glazing and gas central heating. ***OFFERS***Osborne Estates are pleased to offer to the market this four bedroom family home set over three floors comprises of lounge kitchen/dining area with countryside views, To the lower ground floor is a sitting room leading to rear yard. To the rear of the property is a gated enclosed low maintenance rear yard for parking with rear lane access. Close to Train Station and bus links. Osborne Estates offer for sale this larger than average two bedroom property situated in a side street locations in Tonypandy offering immediate access to all services and is conveniently located within close proximity of shops and schools and transport links. This property offers excellent sized accommodation benefits from drive with onsite parking to rear. The property must be viewed to be fully appreciated and is being sold with no onward chain. Osborne Estates is pleased to offer for sale this three bedroom, terraced property located in the sought after location of Upton Street, Porth close to local amenities and transport links including rail station. The property comprises of a hallway, lounge, sitting room and kitchen to the first floor. Sitting room and Utility to the lower ground floor. Three bedrooms and Shower room. Back access and garage. Open views from the rear of the property. Osborne Estates are pleased to offer to the market this deceptively spacious, three/ four bedroom renovated home. The property is ideally located close to local amenities and set over three floors that comprises of lounge kitchen/dining area with countryside views, To the lower ground floor is a utility room leading to rear yard. To the rear of the property is a enclosed low maintenance rear yard with rear lane access. ***PARKING TO REAR***Osborne Estates are pleased to offer to for sale this three bedroom property close to all local amenities to include road links bus routes and train station. The property accommodation include lounge, kitchen and family bathroom to the first floor and three bedrooms. The property has rear access with a hard stand. ***IDEAL 1ST BUYER*** NO CHAIN** OFFERS OVER £114.995***. Ideal property for first time buyers. Osborne Estates Agents is please to offer for sale this larger than average three bedroom semi detached property situated in the village of Porth with easy access to all local amenities to include schools, transport links. Early viewing highly recommended. **IDEAL 1ST BUYER*** NO CHAIN***. Ideal property for first time buyers. Osborne Estates Agents is please to offer for sale this modern three bedroom property situated in a sort after location with easy access to all local amenities to include schools, transport links. Early viewing highly recommended. Osborne Estates are pleased to present this three bedroom property with useful attic space located near to rail and bus links. The accommodation briefly comprises: Entrance hall, lounge, kitchen / Diner, family bathroom To the first floor there are three bedrooms and useful attic. To the rear of the property there is a elevated decked patio with open views, fully enclosed lower garden. The property further benefits from PVCU double glazing and gas central heating. Osborne Estates are pleased to present for sale this three bedroom end terraced house in the very popular residential area of Gilfach Goch. There is an L-shape lounge/diner, ground floor bathroom, modern kitchen utility room and an enclosed garden and side entrance. There are spectacular views of the surrounding countryside from the front aspect and an early viewing is highly recommended as we are sure interest in this property is likely to be very high. Osborne Estates are pleased to present this three bedroom property which has been extensively renovated to a very high standard. Would make an ideal family home or suit a first time buyer wishing to step on the property ladder. Situated close to all local amenities. Call us on (01443) 435599 and book your viewing today! Osborne Estates offer for sale this larger than average property situated in a side street locations in Llwyncelyn Porth offering immediate access to all services and walks around the surrounding countryside. The property is conveniently located within close proximity of shops and schools and transport links. This property offers excellent family sized accommodation benefits from double glazing and gas central heating The property must be viewed to be fully appreciated and is being sold with no onward chain. Situated in a convenient and pleasant sought after side street location is this renovated and modernised family property with three Bedrooms, Bathroom with walk in shower. Primrose Street is located offering immediate access to main services, facilities and with access to schools at all levels including the new super school at Tonypandy. It offers easy access to road links, A4119 link road to M4 corridor. Rail and bus connections are also in Tonypandy. This property really must be viewed to be fully appreciated. Briefly comprising entrance Porch, Hallway, Through Lounge/sitting room, Kitchen, first floor Landing leading to three Bedrooms, garden and garage to rear. Osborne Estates are pleased to offer for sale this extensively renovated and modernised three bedroom, mid-terraced property situated in side street location of Penygraig. Easy access to all services, amenities and transport links. The property has been extensively refurbished. The property affords PVCu double glazing throughout, full gas central heating, fitted Kitchens. This property must be viewed to be fully appreciated. An internal inspection. It briefly comprises entrance Hallway, spacious Lounge, Kitchen/Diner, bathroom, first floor Landing, three bedrooms. Fully enclosed garden to rear. Osborne Estates are pleased to offer for sale this extensively renovated and modernised three bedroom, three storey end-terraced property situated in sought after location of Trealaw. Easy access to all services, amenities and transport links. The property has been extensively refurbished. The property affords PVCu double glazing throughout, full gas central heating, fitted Kitchens. This property must be viewed to be fully appreciated. Additional features could be available subject to an internal inspection. It briefly comprises entrance Hallway, spacious Lounge, Kitchen/Diner, bathroom, first floor Landing, three generous size bedrooms plus W/C. Fully enclosed flat garden to rear with feature bar and seating area. Osborne Estates offer for sale this larger than average property situated in one of the most popular side street locations in Tonyrefail, offering immediate access to all services and walks around the surrounding countryside. The property is conveniently located within close proximity of shops and schools at all levels, and with the added benefit of transport links to the A4119 link road to the M4 corridor. This property offers excellent family sized accommodation with private gardens, detached garage, benefits from double glazing and gas central heating fitted Kitchen. The property must be viewed to be fully appreciated and is being sold with no onward chain.